Need some quick easy holiday baby gifts? 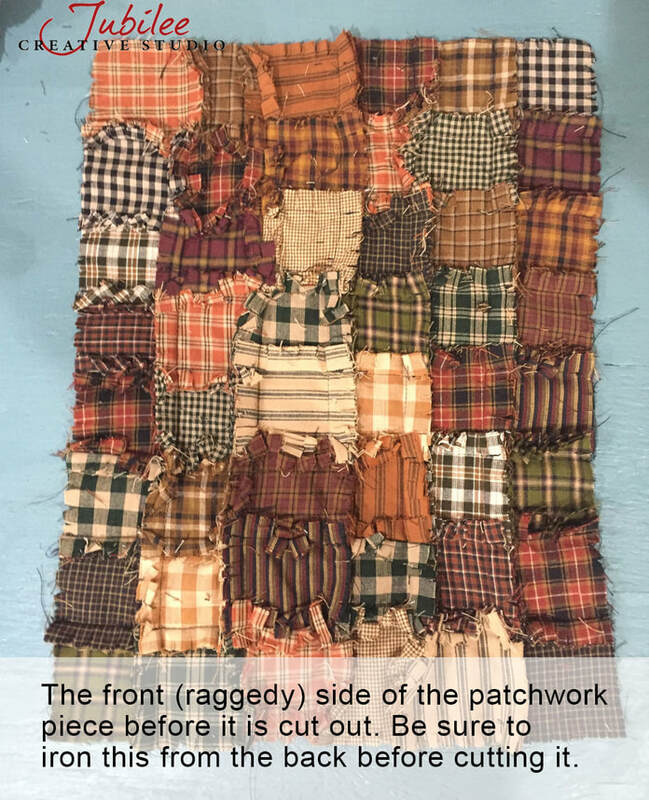 These bibs were made from the Patches for Pete ragged style pattern. I used the basic instructions and pattern shape but I added some leaf cut out appliques and pumpkin cutout appliques to give them holiday expression. They turned out SUPER cute. 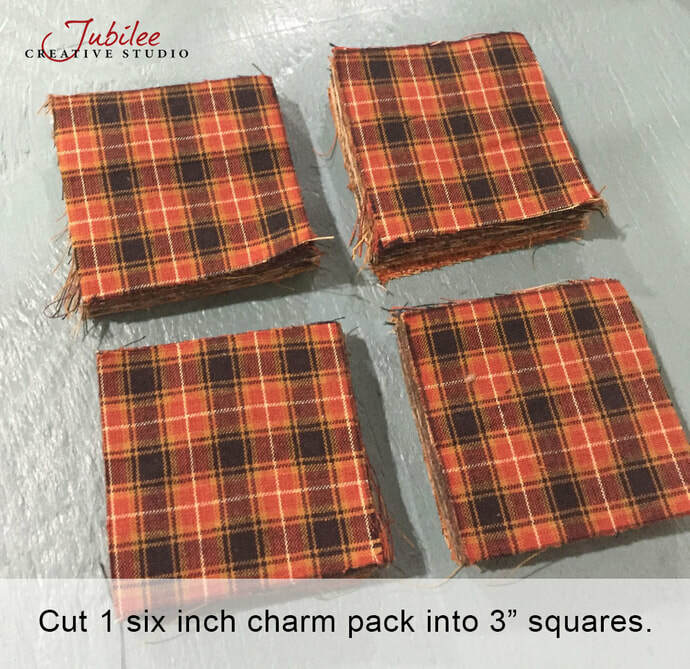 The back side of the leaf bib is a patchwork of our 6" Autumn Spice charm pack cut into 3" squares. One pack gave me plenty of squares for the bib plus I've got a lot left over. 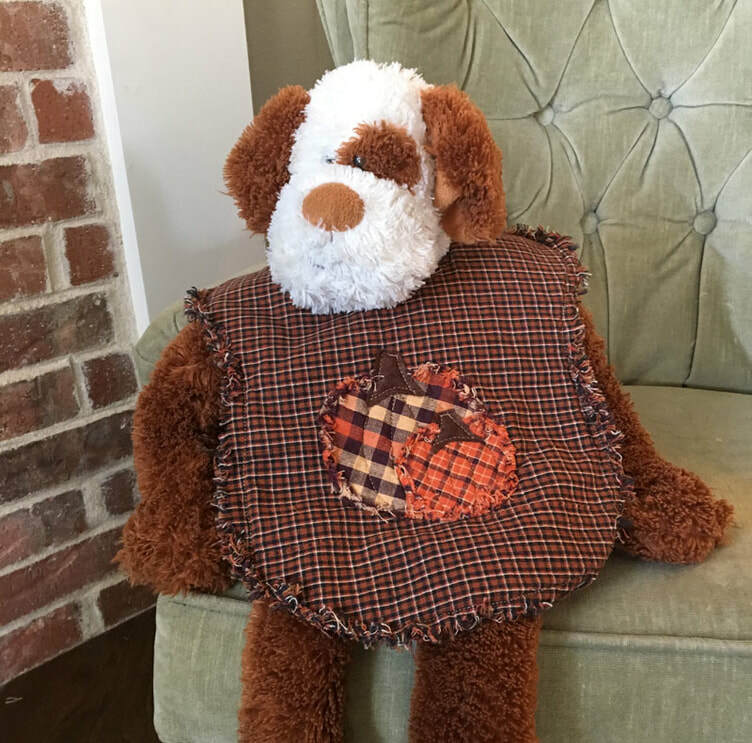 Not enough to make another bib but maybe enough to do an insert for a cute fall pillow. If I do something cute with those leftover squares, I'll update this post! Below are some pics of my project in progress. 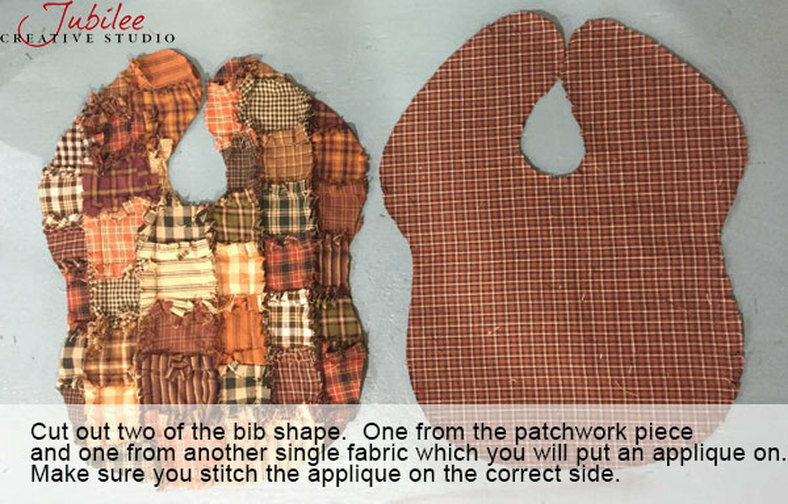 More detailed instructions and the bib shape pattern are available in the Patches for Pete baby bib pattern. 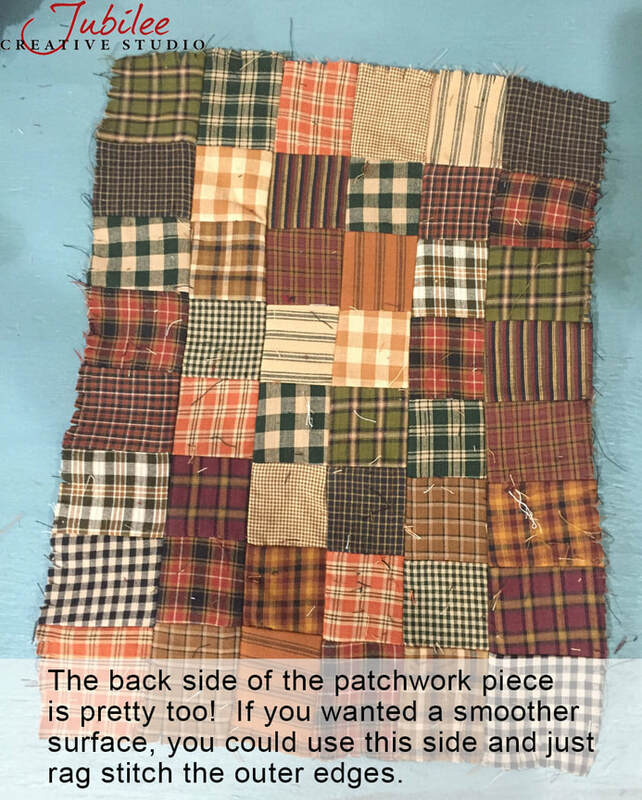 For a limited time, we are offering the Patches for Pete pattern FREE! Add the Patches for Pete digital download pattern to your cart and enter the code at checkout.